Erdogan hysteric – should he resign? On 25 January 2012 Mediamax news agency (mediamax.am), to which our Secretary General, Michael Kambeck, is a columnist, published his commentary on the reactions in Turkey regarding the French bill prohibiting the denial of the Armenian Genocide, adopted by the French Senate on 23 January 2012. The hysteria in Turkey over the French bill prohibiting the denial of the Armenian Genocide could hardly be more self-damaging or more revealing. Readers of the official Turkish statement of 24 January will be struck by a tone unworthy of a strong and mature nation and rather be reminded of speeches of some of those Arabic leaders, who have recently been ousted by their people. 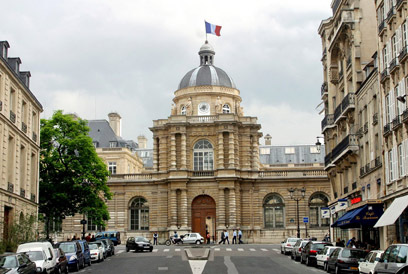 France is allegedly “damaging the freedom of expression in a tactless manner”, says Turkey, which has just today (25 January 2012) received another condemning report from Reporters Without Borders for its further weakening media freedom, dropping down to place 148 out of 178 (France is on 38, Armenia on 75, Azerbaijan on 162). The French law does the opposite of what the Turkish government claims. It protects freedom. France has, together with the country I know best, Germany, for many years had such laws against the denial of the Holocaust. This has neither stopped researchers on this issue nor journalistic freedom, even where journalists took views which I personally would find inappropriate. But such laws DO protect against blatant hardliners and their propaganda, who generally practice the politisation that Prime Minister Erdogan so loudly condemns these days. He accuses Sarkozy of fishing for Armenian votes, while omitting the large number of voters with a Turkish background but a French passport. The Armenian Genocide has long been recognised by France, as by many other European states and the European Parliament.This has been done in view of overwhelming evidence, while in Turkey archives still remain closed, documents still disappear and journalists writing about 1915, like Hrant Dink, face the opposite of freedom. The new French law simply brings the prosecution in line with the earlier recognition decision. The German Bundestag is allegedly considering a similar move and should do so. The European ideal of tolerance needs intolerance vis-à-vis intolerance. Genocide is the ultimate intolerance. Free democracies need to be strong in their defence against those who seek to undermine that freedom. While the law does not mention Turkey and President Sarkozy even sent a conciliatory letter to the Turkish government, Erdogan’s reaction was a whole list of threats, calling the law “an unjust action, which disregards human values and public conscience”… “No one should doubt our Government’s principled approach in this issue” the MFA refers to the announced retaliation measures. Such words do not sound like the communication of a mature and proud nation, it sounds like a vexed child in a sand box, saying “He started first!”. Turkey kills its relations with France and blames France for it. Instead, Turkey would have had the chance to run a different policy, even a very nationalistic one (which I would deem wrong but at least clever): Turkey could have opened the border with Armenia and with that started a process of debating the issue, which no international player would have liked to interfere with. Turkey could state, however they classify the “events of 1915”, that this was during the Ottoman Empire and hence only indirectly concerns modern Turkey. Turkey could have focussed on its national interests by gaining support from the international community for securing a deal which limits possible Armenian damage claims and embarking on a course of a genuine zero-problem-policy with its neighbours. Instead, that zero-problem-policy has visibly failed all around and Turkey is today mainly known for being “loud”. It destroyed its interests with the EU and sends enraging and mobilising signals to the Armenian Diaspora around the world and to its own minorities, especially to the Kurds in its poorer East. All this has a high price for Turkey and all this has been dominated neither by Turkey’s Foreign Minister nor by the President. In the interest of the Turkish nation, you would have to call upon Prime Minister Erdogan to resign. And as even long-standing friends of Turkey, like MEP and Turkey rapporteur Oomen-Ruijten, become publicly more and more frustrated and critical, France and the EU seem to have little to lose, as long as Mr Erdogan is in power. The only light comes from the Turkish intelligentsia, which means that civil society is today our best hope for saving Turkey’s modernisation.